Consulting-Specifying Engineer reaches management and engineering professionals who design, specify and commission mechanical, electrical, plumbing, fire, life safety and control systems for nonresidential buildings. Consulting-Specifying Engineer covers issues from sustainability to safety and from design and specification to lifecycle performance. Consulting-Specifying Engineer reaches its audience through its magazine, e-newsletters, its website, educational webcasts and social media. Control Engineering reaches automation engineering professionals who design, implement, maintain and manage control/instrumentation systems, components and equipment. Control Engineering provides comprehensive coverage of automation technologies and applications across process, discrete and hybrid industries. 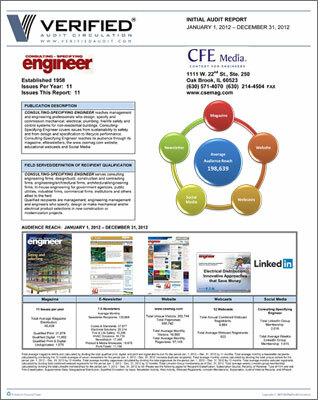 Control Engineering reaches its audience through its magazine, e-newsletters, its website and other online events. Central Florida's quality, African-American newspaper is published every Thursday and has a larger circulation than any other African-American newspaper in Orange County. Founded by Publisher, Dr. Calvin Collins and several of his colleagues, The Orlando Times opened its doors for business on July 5, 1975. 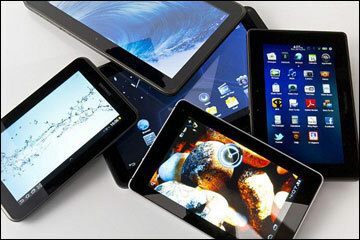 According to a new report from Brand Perfect, considering global publishing for a digital generation, sales of tablets and smartphones will outstrip desktop sales by two to one, with tablets alone on target to do so in 2013. An independent analysis by Kleiner Perkins Caufield & Byers, smartphones are expected to reach more than 2 billion units by 2015, with the number of tablets tripling in the same timeframe to reach just fewer than 3 billion units. The report, Adventures in Publishing, concludes that this expansion demonstrates the need for brands to focus their advertising strategies more heavily on these platforms. However, 93% of the publications reviewed in the report have yet to offer true multi-device viewing, yields the study. In the study, primary research focused on the current state of online consumer publishing across 100 top titles in the U.K., U.S. and Germany, and identified the fragmented nature of publishing channels today. 93% of the leading consumer magazines surveyed do not offer readers complete cross-platform digital experiences. HTML 5 has the potential to take brands seamlessly across the web, whether accessed from desktop, tablet, smartphone or TV, but needs to be supported by all digital media. Publishers have invested heavily in apps, yet many publishing apps have limited audiences and often require unique creative work from an advertiser. Many publishers are not providing user-friendly experiences for the mobile web, says the report. Even though sales of tablet computers and smartphones outstrip desktop sales by 2:1, many publishers are still resisting tackling the mobile web. Senior brand marketers have it within their grasp to be important agents for change, concludes the report. Of the 78 consumer-facing English language publications detailed in the report, 83% have at least one app available in the Apple App Store, Newsstand app or the Google Play service. Of these, 65% have published iPhone apps and 40% have published apps for the Android platform. All 78 publish on the iPad device. However, only 25% of these were optimized for any form of tablet display, with most publishers using scaled-down versions of their desktop sites instead. Of the German titles reviewed, 10% are optimized for tablets. 38% of publications offer an iPhone-optimized option. The first major limitation of the current ad server model, says the report, is that advertisers cannot be expected to supply a separate creative for each of the separate smartphones, tablets, laptops and desktop computers on the market. Either the advertising message is served exclusively to those devices for which suitable creative is provided, or the ad server may rescale the closest match to fit the new ad size, often with unpleasing results. In common instances, says the report, such as a banner designed for the desktop served to a smartphone and viewed at such a reduced size, that brand, images and copy become incomprehensible. Ed Barnes, VP of Rich Media at AdTech stated, "Brands could take the same approach as publishers developing responsive or adaptive sites and produce creative content once and use web standards (such as HTML 5) to ensure their advertising is served correctly, regardless of the device on which it's encountered." View a free copy of the report, Adventures In Publishing: The New Dynamics of Advertising, including the full results of the study. A new report conducted by the Virtual Edge Institute, commissioned by Freeman, shows that attendees are increasingly turning to their screens to engage with organizations. Just under 80% of survey participants produce physical events, with 70% of those respondents also producing online events. 42% of respondents indicate their in-person event attendance is trending up, while about 10% note a downward trend. 35% of survey respondents indicate their average length of attendance at more than five hours, while nearly two-thirds report attendance at two hours or more. By comparison, a recent webinar benchmarking study reported average attendance at less than one hour per webinar, indicating that events with multiple hours of content create longer viewing experiences. "Engaging people using online meeting and event technology has never been more important," said Michael Doyle, Executive Director for the Virtual Edge Institute. "Armed with the information from this study, we can help the industry gain insight into best practices for digital events and hybrid extensions in order to improve event marketing ROI and deliver real results." While the report highlights that many respondents are searching for sponsorship opportunities and new ways to earn revenue from content captured during events, the statistics show that many event producers are failing to promote that content to prospective customers after the event concludes. 33% of respondents do not have an ongoing marketing strategy to build awareness of on-demand educational content. 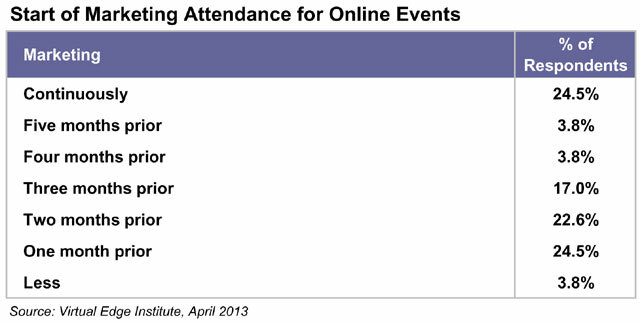 Just over half of all respondents report attendance at their online events at less than 500 attendees. As might be expected, those events with larger in-person attendance also report higher online attendance. The vast majority of survey respondents have multiple goals and objectives for their digital events, with the most reported goal being the ability for digital events to expand the organization's reach and audience. Nearly 60% indicated that their goal is to serve their constituents by providing education to those who cannot attend the physical event, and an equal number indicated that their desire was to "make better use of event education by making it available online." Half of respondents list generating revenue as a goal or objective, with nearly as many interested in establishing their organization as an industry leader, driving more international attendance and providing more value to physical event attendees by providing them access to event content, post-event. Of those survey respondents who try to monetize their online events, the top three successful techniques are overall event sponsorships, followed by advertising and sponsorships tied to in-person event sponsorships. Online booths are reported as the least successful. Content syndication sponsorships ranked as the highest technique "not yet tried," but will be watched carefully in future similar surveys. At this point in the evolution of digital events, the majority of survey respondents are not charging attendees for access to either live or on-demand content. Earlier VEI survey results indicated, by a margin of two-thirds, that they would, in fact, be willing to pay to attend and consume online meeting content, with the majority willing to pay to access select content versus the entire meeting. For those survey respondents who do charge attendees for access to the online event, 50% of them charge 25% or less than the in-person registration fee. Nearly 60% of survey respondents are streaming and capturing keynote/plenary sessions, with just over 40% doing the same with breakouts, interviews and sponsor-oriented content. Of those respondents capturing but not streaming content, sponsor material garners the highest percentage of content captured at 41%. Poster sessions appear to be the least captured or streamed form of content. The most successful engagement techniques noted by survey respondents are attendee chat, social media and polling / Q&A. Online moderators and emcees are also noted as successful engagement elements. Gamification, still in its infancy, is highlighted by survey respondents as the least successful of all engagement techniques. 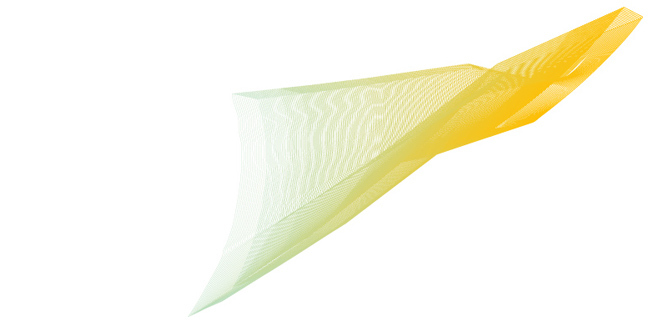 "Marketing is always an area our consulting clients want to know more about," said Doyle. "You can have the greatest content and experience [but unless] marketing is right, it's all for naught." Nearly one-quarter of survey respondents indicate that they continuously market their online events, an equal number start just one month prior to the event, while another 23% begin two months out. Studies have shown that while the bulk of registrations come in within the last seven days of a digital event marketing campaign, the earlier the promotion begins, the higher final registration numbers will be. Email marketing is by far the most significant registration driver for digital events, with advertising, search engine marketing and social media the least effective. Dedicated email messages are most widely used by survey respondents, with more than 60% sending them at least twice per month. E-newsletters are the next most utilized tool, with 55% delivering a newsletter once or twice per month. 67% of respondents indicate that their online attendance is trending up. 50% of respondents want to make money with their online event activities. 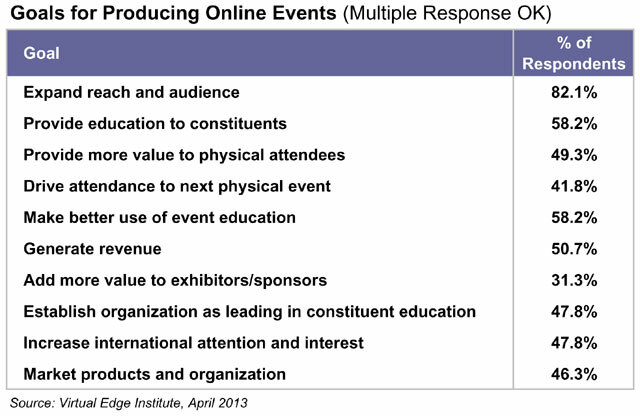 40% of respondents hope to leverage online events to drive participation in face-to-face events. 35% of respondents indicate that average attendees spend more than three hours in an online event. Less than 25% of respondents charge money for live access to online events.